It takes a lot of work to keep a marriage. Here are a fun and creative tip to a happy marriage! Are you looking for unique wall decor that is unique and suitable for bedrooms? Look no more: try DecorativeLettering products! 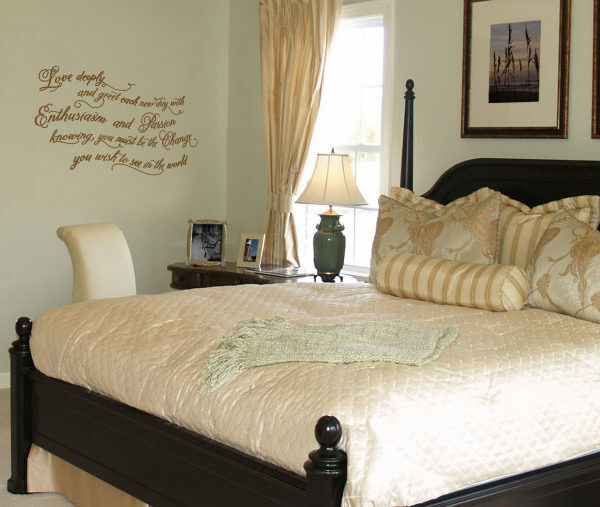 We have wall quotes that will not only fit into your style but wall space size as well. You may submit a preferred quote if we do not have what you are looking for. 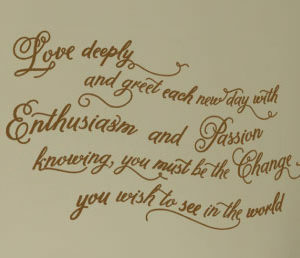 Our talented designers will work with either and you will end up with wall decals that you will enjoy for a long time! 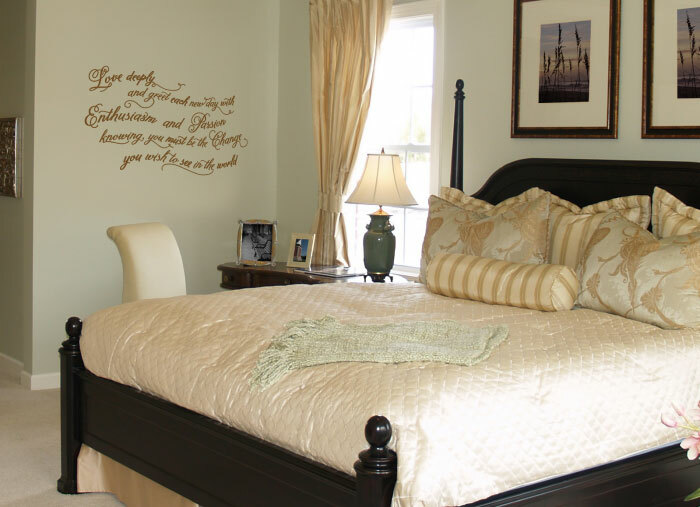 For rooms that have a strong light source, we recommend our matte wall lettering. This will get rid of the glare problem. Do also apply them on a contrasting wall surface to enable visibility. Get in touch. Let us help you decorate with inspiring wall decor!